Added support for 'objectBoundingBox' value of 'gradientUnits'. Added support for 'gradientTransform' attribute. Project available on GitLab (Tavmjong/mesh.js). and include the file mesh.js in the same directory as your file. 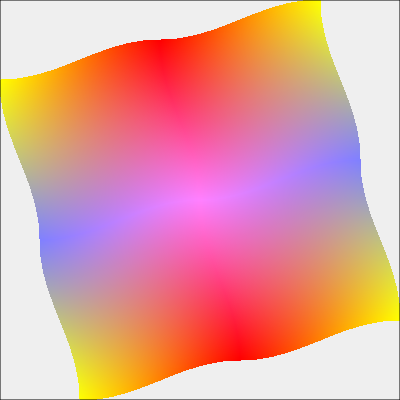 No support for bi-cubic blending. No support for meshes on strokes. No attempt to make the code efficient. Occasional rendering errors (e.g. some unfilled pixels in rotated meshes). Mesh rendering, of course, would be much better handled natively in browsers. Let them know if you want native rendering! conical2.svg Works in Firefox but not Chrome. pepper.svg (takes about 20 seconds to render). Obligatory PNG for social media that doesn't support SVG's (I'm looking at you G+).